A few years ago, my husband had an unpleasant encounter with kimchi in Korea. I’ll spare you the details, suffice to say it involved a rotting buried cabbage being dug up and served for dinner. It certainly made for a memorable meal but he didn’t order seconds. Fortunately for him, this method of fermenting food is at the far end of a varied spectrum, and delicious, easy-to-use ferments are now readily available! Fermented foods are part of many culinary traditions – including our own here in the UK – because fermentation is a simple way to preserve foods, extending their life and ensuring food availability during times of scarcity. Nowadays, fridges and freezers have largely replaced the need for fermentation, but these conveniences mean we eat far fewer fermented foods and this has negative consequences for the billions of bacteria living in our guts. The fermentation process allows lactic-acid-producing bacteria to develop. These bacteria form a vital part of the microbiota – the billions of bacteria living inside us. Supporting levels and diversity of our good bugs with the right kinds of foods is a vital part of preventative healthcare. 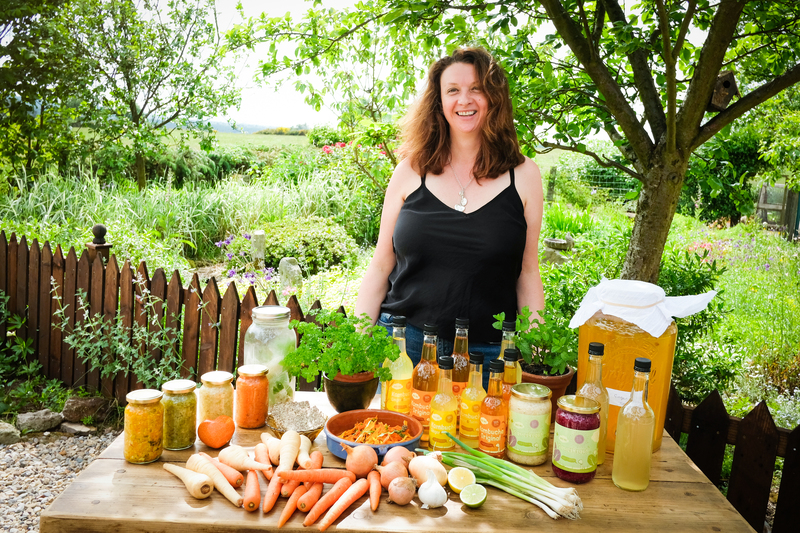 Sally: Hi Rachel, can you tell me a little about why you started your business, and what attracted you to fermented foods? Rachel: Sure. Well, I’ve always been health conscious, but it wasn’t until I had health problems of my own that I really started to focus on good nutrition and lifestyle changes. Several years ago, I was diagnosed with uterine fibroids, and spent a year eating organic food, doing yoga, and having acupuncture. At the end of this year, the fibroids had reduced by 25%. I realised that stress was having a major impact too, and this led me to think about what measures I could have taken to prevent my health problems in the first place. After a lot of exploration, my journey led me to fermented foods as a way of supporting the good bugs in our digestion that play such a major role in health. S: And what did you think of them? R: Initially I thought they tasted disgusting! But, with practice, I’ve created some beautiful ferments that taste delicious. S: When did you launch ‘Loaded Table’? R: I spent a few years perfecting my recipes, trying them out on friends and family, and when I moved to the UK earlier this year, I launched Loaded Table. I now supply a number of health stores in the North, including Alligator Wholefoods (on Fishergate in York), and have a stall at Acomb Market, on the 4th Saturday of every month. S: Tell me about your products. 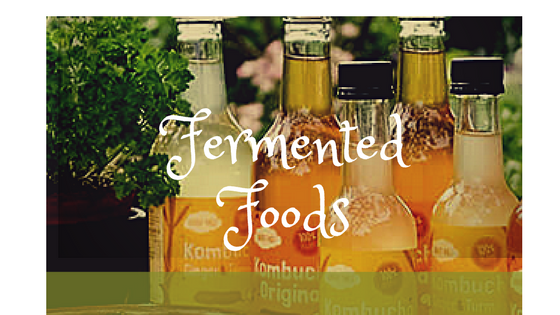 R: I produce kombucha, kimchi (vegetable ferments), sauerkraut, and some prebiotic ferments – asparagus, onion, and garlic. All the ferments are tested to ensure they have the right types and levels of bacteria, and they come with a shelf life to prevent spoilage and the growth of bad bacteria. S: How do you recommend people use your products? R: The kombucha is really popular, and is great for kids too – they love the ginger and turmeric flavours! Adults can take 100ml a day, and kids 50ml. With the vegetable ferments, just add a tablespoonful to a salad, or have it alongside a cooked meal. The prebiotic ferments are a little different: I suggest 5-10g per day, and mix these in with dips, relishes, or sauces – but don’t cook them as this destroys the fibres that will feed the probiotics. My kimchi is delicious – I’ve added my own Yorkshire twist to it! S: I love the sound of that! What’s the Yorkshire twist? R: There’s less chilli, and a whole range of different warming spices, including fenugreek which gives it a distinctive flavour. S: Any plans to offer online shopping? R: Yes, that’s coming very soon, along with some new flavours for the kombucha and vegetable ferments, and I’m planning to offer workshops to help people make their own ferments. If you’re dealing with digestive problems, low energy, or stress, remember to download your FREE copy of ‘Your 3 Easy Steps to All Day Energy’ and schedule a FREE 20min no-obligation telephone call with me to discuss how nutritional therapy may be able to help!